Thank God for Trees ! God made trees as a good part of His creation. Even after the Fall, trees are a proof of God’s goodness (Acts 14:17). So the idea of appreciating the value of trees is a good idea, especially if our appreciation of trees reminds us of how wonderful God is. One way to appreciate trees is to plant one, or two, or three, or many more! In fact, we even have a holiday, in America, that focuses on planting trees: ARBOR DAY. Morton was not a stranger to leadership. For examples, Morton served in the Nebraska territorial legislature (AD1855-AD1856), as the Secretary of Nebraska Territory (AD1858-AD1861), as acting governor of Nebraska (AD1858-AD1859),and as U.S. Secretary of Agriculture (AD1893-AD1897). At a meeting of Nebraska’s State Board of Agriculture, in January AD1872, Morton proposed a tree-plating holiday to be called “Arbor Day” (meaning Tree Day). The date selected was April 10th of AD1872, to be accented by prizes for groups and individuals who planted the most trees that day. About a million trees were planted in Nebraska that day – probably more than a million! Each year thereafter the tradition grew – soon school children were planting trees as a classroom project, and trees so planted were nurtured by students who planted them. Morton was an expert on forestry and agriculture (especially farming), so he promoted awareness and appreciation for trees – emphasizing their value for wood products, for shade from the hot sun, for windbreaks against erosion, and as soil conservators (because tree root systems hold soil in place). In order to have trees in the grassland-dominated plains of Nebraska, however, humans would need to plant trees – and lots of them. So Morton organized and promoted tree-planting events as a holiday: Arbor Day. 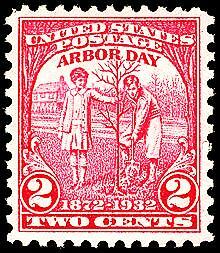 During the first Arbor Day of Nebraska (on April 10th of AD1872) about one million trees were plants. Morton advocated tree-planting (and tree care) in his published writings – such as his articles in — and he encouraged civic groups to sponsor tree-planting as a a group activity, to benefit present and future generations of Nebraskans. Of course, Morton’s goal for forested lands was not limited to Nebraska – publicity about Arbor Day led, in time, to Arbor Day being officially celebrated (by ceremonial tree-planting) in the other states of America. The overwhelming success of Morton’s tree-planting holiday soon became formalized, in Nebraska, as an official state holiday, although the exact date of its observance sometimes changed (e.g., for a while it was observed on Morton’s birthday, April 22nd), until it was finally settled as the last Friday in April. July, as well as National Tree Day on the last Sunday in July. The last full week of September is “National Forest Week” in Canada; the Wednesday of that week is called “National Tree Day” or “Maple Leaf Day”. Since AD1952 Germany has celebrated “Tag des Baumes” – “Day of Trees”. Netherlands has a similar-named holiday, “Nationale Boomplantdag” – “National Tree-planting Day” (a/k/a “National Boomfeestday” – “National Tree Fest Day”). Since AD2002 Poland has celebrated Arbor Day on October the 10th, with special presentations on trees and ecological awareness being featured in schools and by Polish forest inspectors. Many other nations also have an equivalent to America’s Arbor Day. One nation, Israel, has linked tree-related celebrations to the Bible. Israel celebrates “Tu Bishvat” (15th in Shevat), a holiday also called “Rosh HaShanah La’llanoth” (meaning “new year of/for trees”), during the middle of the Jewish month Shevat (which occurs in late January or early February), at the time when the Holy Land’s almond tree usually blossoms. This observance is linked to the Mosaic laws governing tree-care, including Leviticus 19:23-24 (and, indirectly, to the tithing laws of Deuteronomy 14:22-29). Notice that this levitical law required the Hebrews to plant trees! 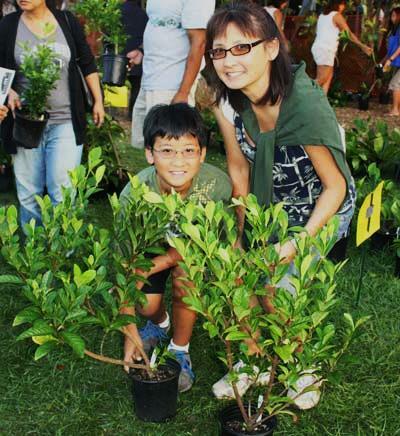 For more information on Arbor Day in America, see the website of the National Arbor Day Foundation: https://www.arborday.org/generalinfo/about.cfm . Each person who plants a few trees is adding to the overall benefit that trees provide. Leading this useful practice, the National Arbor Day Foundation has more than 250,000,000 trees since its formal establishment in AD1972. However, when it comes to celebrating trees – appreciating their unique value – the bottom line is that God made the trees and their fruit (Acts 14:17; Genesis 1:11-12 & 1:29; Leviticus 26:4 & 27:30), and the food we enjoy from trees should prompt us to worship the God Who created trees, because “all the fruit thereof shall be holy to praise the LORD” (Leviticus 19:24). 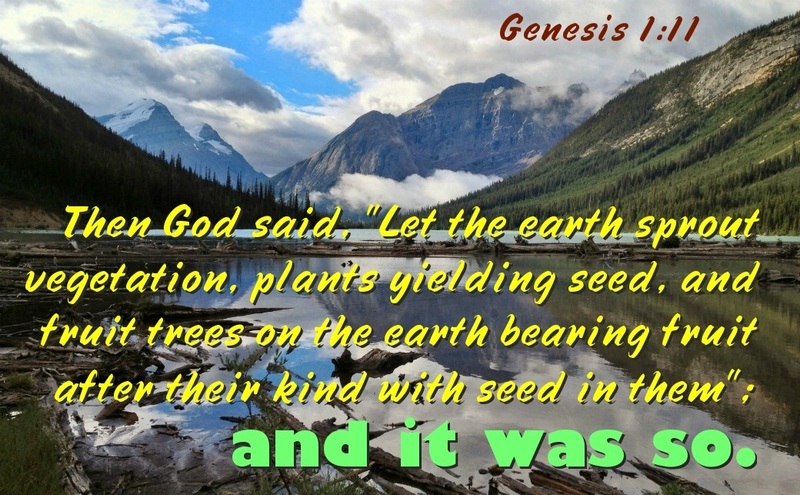 This entry was posted in Bible and tagged Acts 14:17; Genesis 1:11-12, Arbor Day, J. Sterling Morton, Leviticus 19:23-24, tree-planting. Bookmark the permalink. What would the birds do without all those extra trees planted on previous Arbor Days?